A pricing strategy is an essential part of a business strategy no one can pass by or ignore. Did you know that the price enhancement is one of the best ways to boost profit? The study provided by the consulting firm McKinsey&Co showed that a 1% raise in price value leads to an 11% increase in profit. Because price optimization is such a significant aspect of product development and management, a huge cluster of pricing techniques has been elaborated and continues to grow. With so many techniques available, it is not always clear which one will be the most applicable to your case. There are different approaches to price studying, but generally, they are divided into two groups – a predictive analysis and analysis of historical data. Of course, every piece of information we can get from our customers is valuable and useful. But there is a difference between predicting of the irrational behavior (that is essentially buying the most of the products) and analyzing the historical data (what your customers actually have bought), and this difference is in the act of volition. Volition is the act of willing or making a choice/decision. No matter, will it be an act of buying something or voting at elections. Volition is always the point that complicates the research that tries to predict behavior. 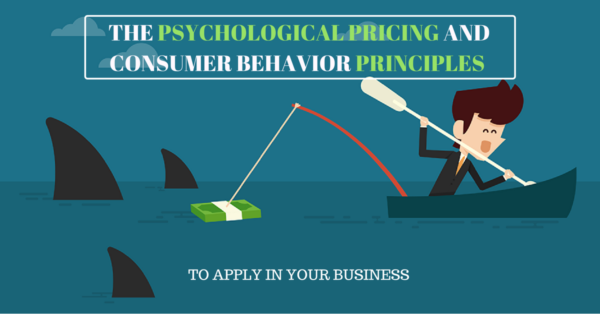 Ok, Let’s dive deeper into the world of pricing research methods! There are four traditionally used techniques for predictive price research, but as for me, they are not enough to make clear conclusions. To get the most accurate data, you should always combine different techniques. 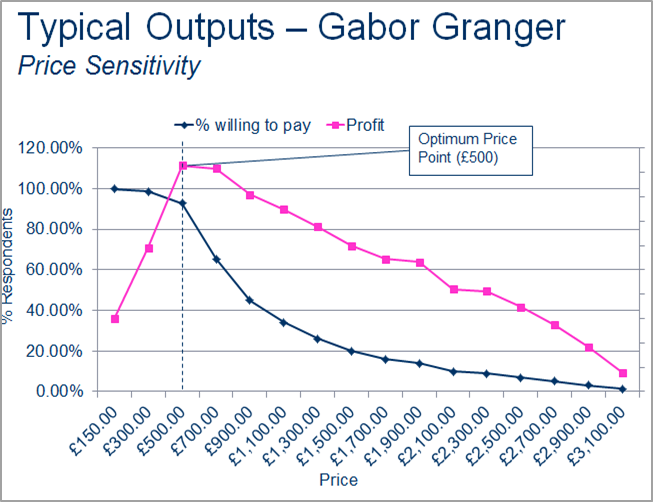 Specific techniques for the defining price of the total product which are covered in this article are Gabor-Granger, price sensitivity measurement, monadic concept and simple discrete choice. Let’s describe each of them. 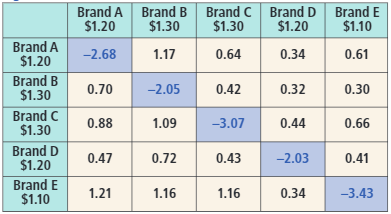 This method basically asks the consumer, “would you buy an Item A at price B?” A poll continues until the highest and the lowest acceptable price is defined for a particular sample of potential buyers. Thus, this method tries to bring the estimated behavior to the actual one. Nevertheless, the only way to verify the data of this research is to compare it with the actual numbers of sales. But, as you understand, it could be too late to change prices at this stage. The Gabor Granger method is only aimed to provide some pricing research and is usually considered as the most lightweight of the pricing research strategies. To be honest, all of the listed below conventional techniques are relatively naive. 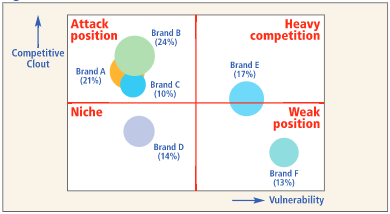 These questions help to visualize a chart with 4 curves, indicating the evaluation of a product as ‘too inexpensive’, ‘inexpensive’, ‘expensive’ and ‘too expensive’. So, from the theoretical point of view, marketers can define the ‘optimal price point’ as an intersection between those consumers who thought the product is ‘too inexpensive’ and ‘too expensive’. Once you understand the market’s perspective on different appropriate price points, you can test those price points against one another. It’s performed by presenting only one price point to each respondent, then comparing purchase intent across the different response cells. The monadic cell testing is the best applicable when single concepts are fully formed enough to require a simulated test market (STM) forecast and the understanding of both a concept’s price threshold and price sensitivity are required. Unfortunately, it’s still only a theoretical approach of testing the concepts, not the real prices in the real life. 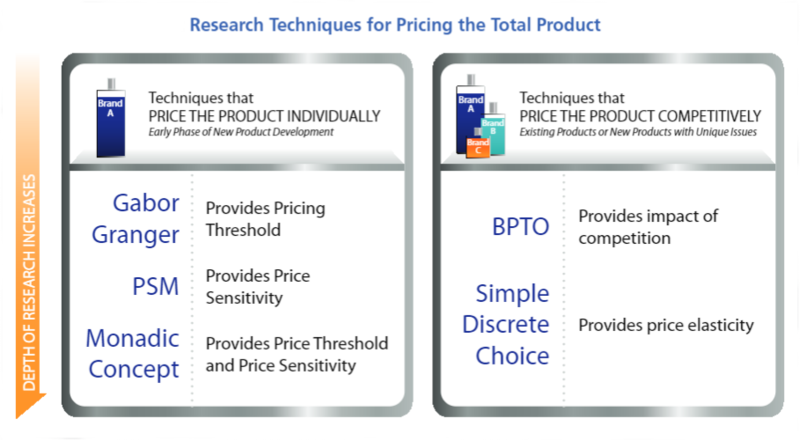 The most sophisticated approach from this list of the research techniques for pricing of the total product is the discrete choice exercise. The most complicated and profound approach. If you are testing different product/service sets, consider using discrete choice experiments. It allows approximating the process, which consumers go through to make the buying decision. The respondents are asked in this method to choose one or none from the set of different options of the product. (with the different sets of features and other characteristics) So, this approach allows defining the level of preference for different sets of options. But again, the main components are missing – it’s volition and historical data. 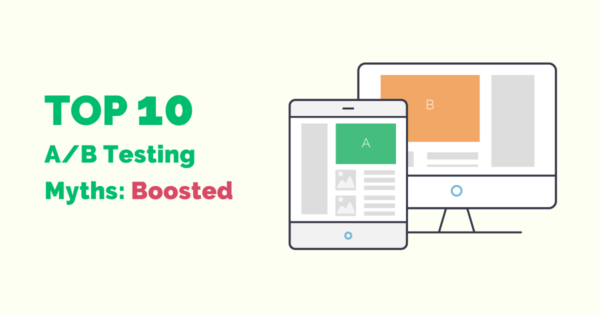 This doesn’t mean that these tests have no validity, all these methods are used for tens of years and, of course, they help to collect valuable information about pricing. But the minus of all these methods reveals itself when consumers have told us they favor a certain price for a particular product, but you have no exact indicators to define if they’ll actually buy something. Another situation is with A/B testing of prices. A/B testing is a very simple concept: you divide your audience and present each group with a different version of something (pricing in this particular case) to see which does better. Besides, in this case, you’re comparing actual results, after an actual act of volition that completely differs this method from the ones, described above. Yet, A/B testing of prices may be tricky. You don’t want to get the bad reputation for messing with your customers, do you? But, why not copy what other retailers do? Amazon changes its prices on an hourly basis (during the peak times like Thanksgiving Day), so A/B testing different prices at different times can preserve you from alienating your potential customers. 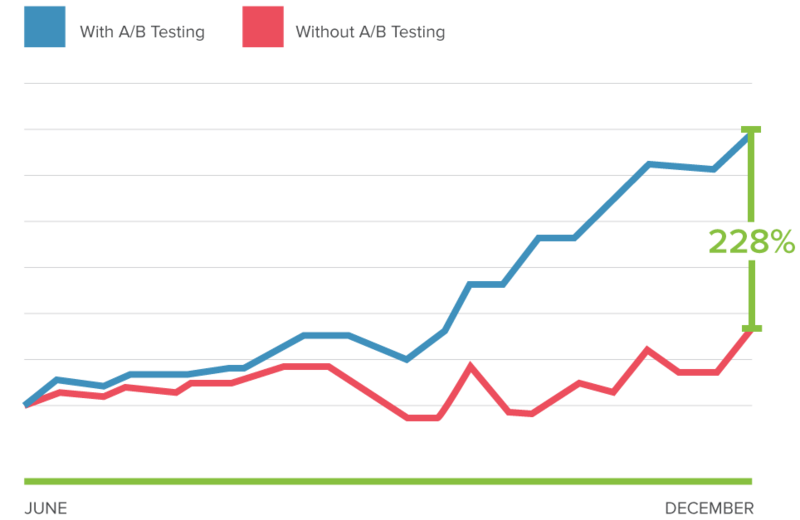 The second great thing you can make with A/B testing for your pricing strategy enhancement is to measure accurately an elasticity of demand. This index is essential for determining the optimal price point (that will bring your company the maximum of profit). The undeniable advantage of this method is in analyzing actual, historical data (without approximating). 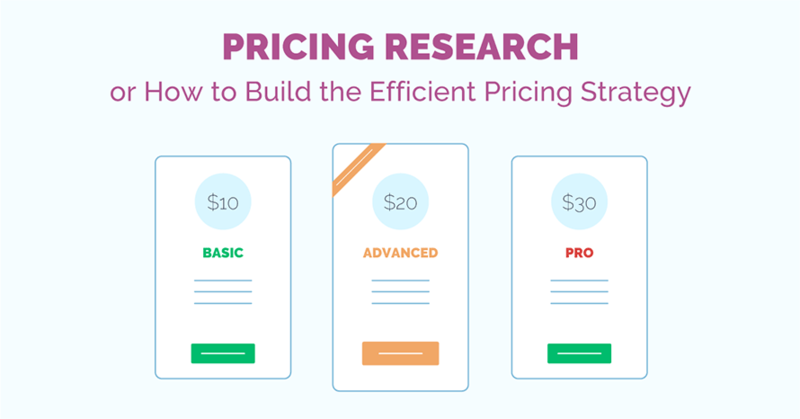 If you have some more ideas about pricing strategy research and testing – feel free to leave your comments below!